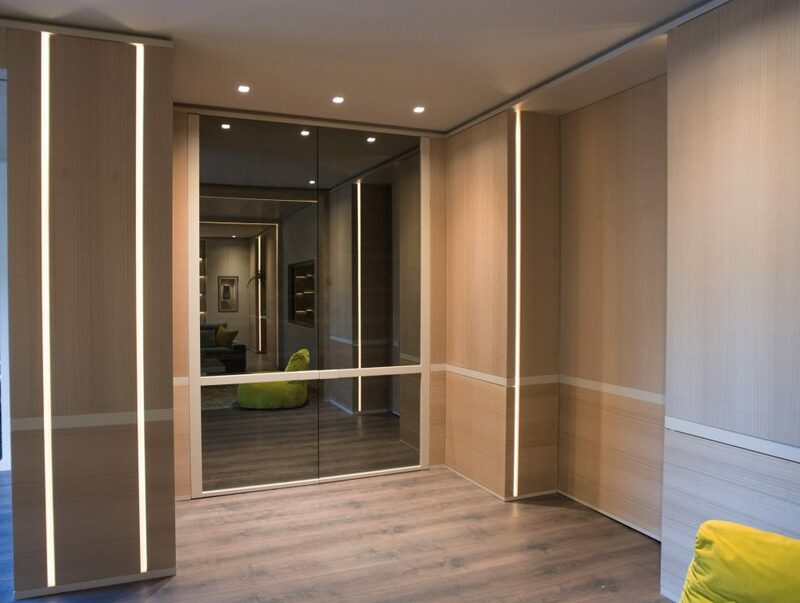 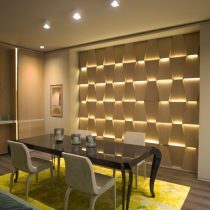 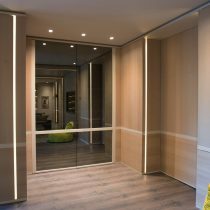 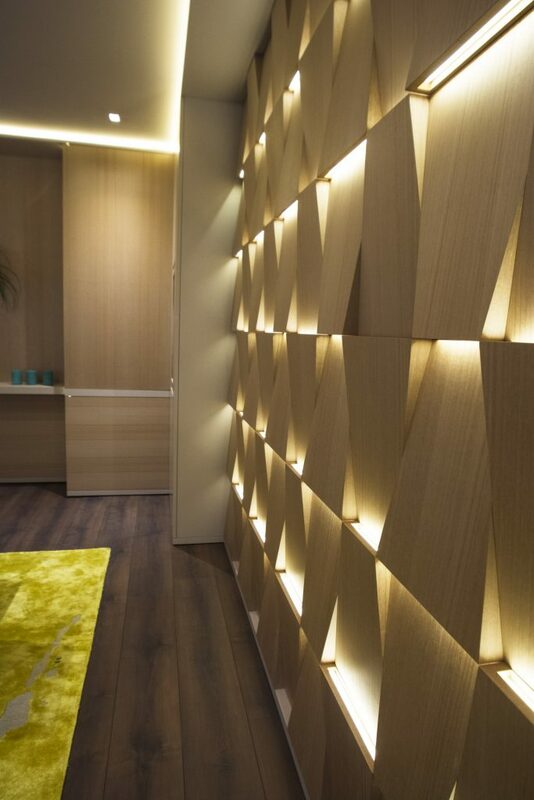 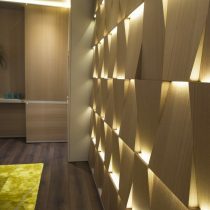 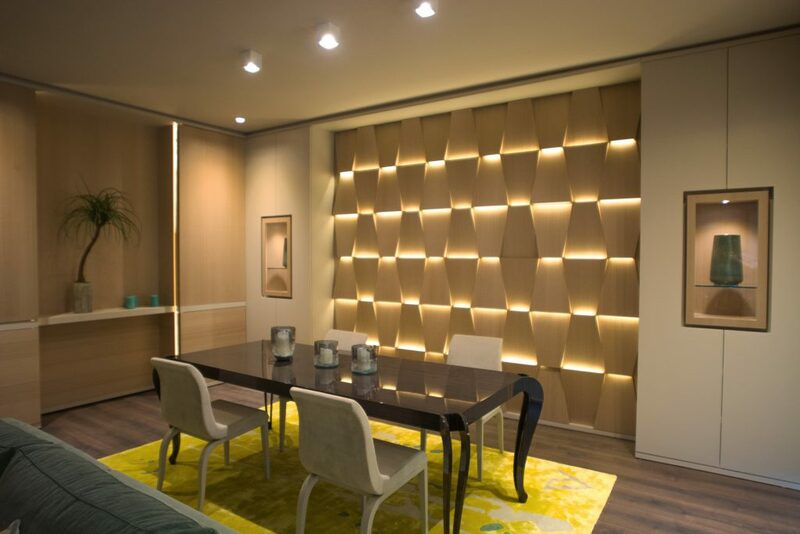 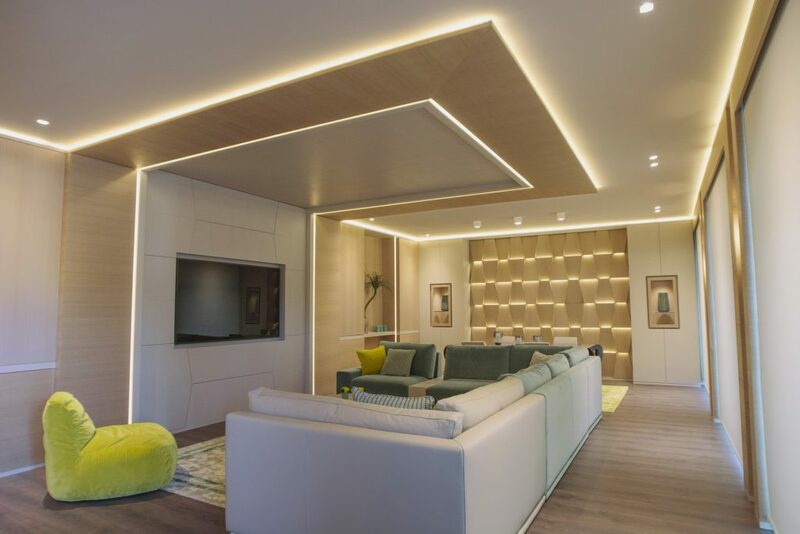 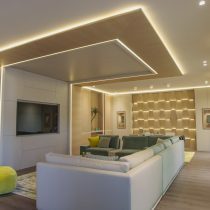 Contemporary boiserie made of natural eucalyptus and matt sand lacquered, illuminated 3D wall with plays of warm light that connect to the false ceiling. 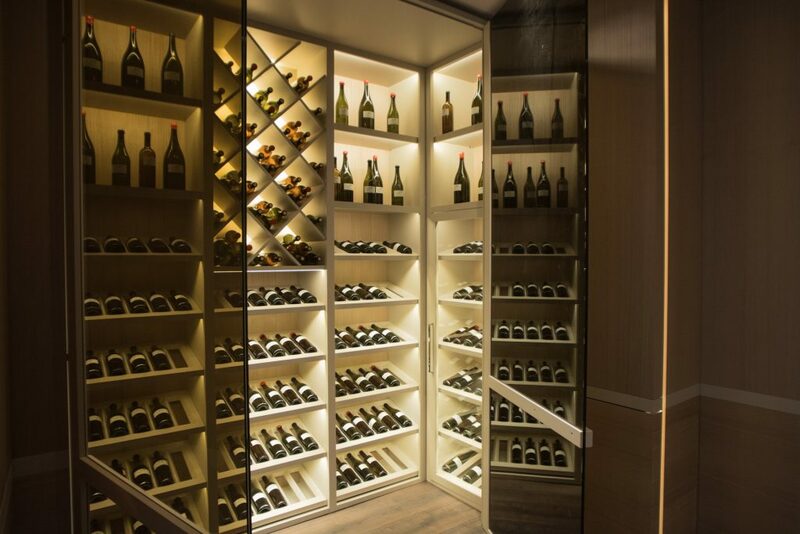 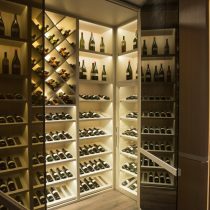 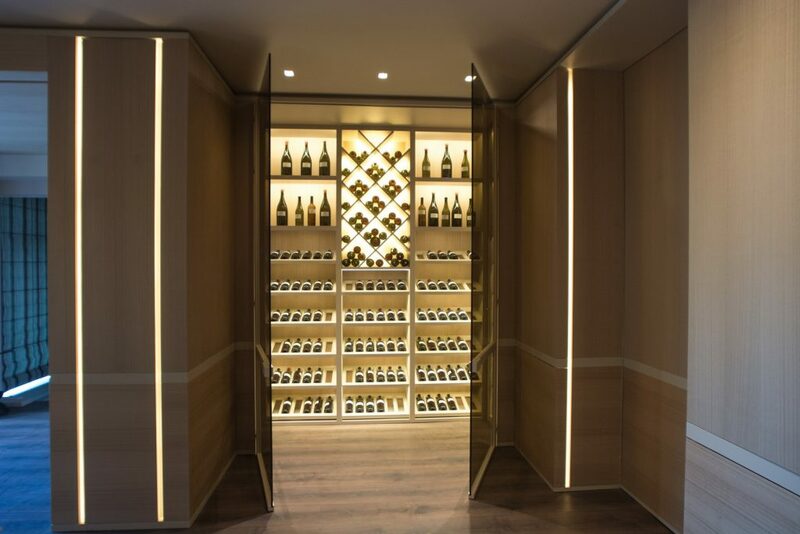 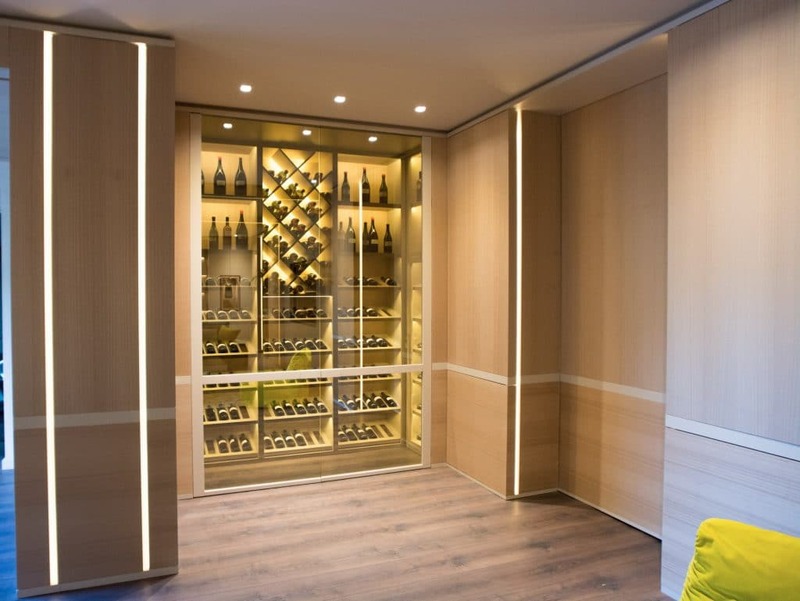 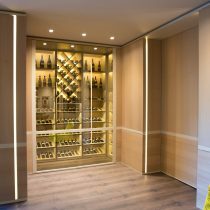 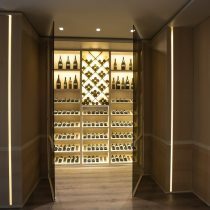 Wine storage corner concealed by a polarised glass door that becomes visible when the interior is switched on, built for the most demanding people, and allowing you to keep red and white wines at the correct temperature. 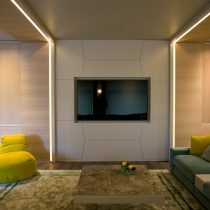 Modular living room of our own design and production, which combines the softness of the velvet with the silky effect of the leather, designed to assemble different volumes and also modules as integrated tables. 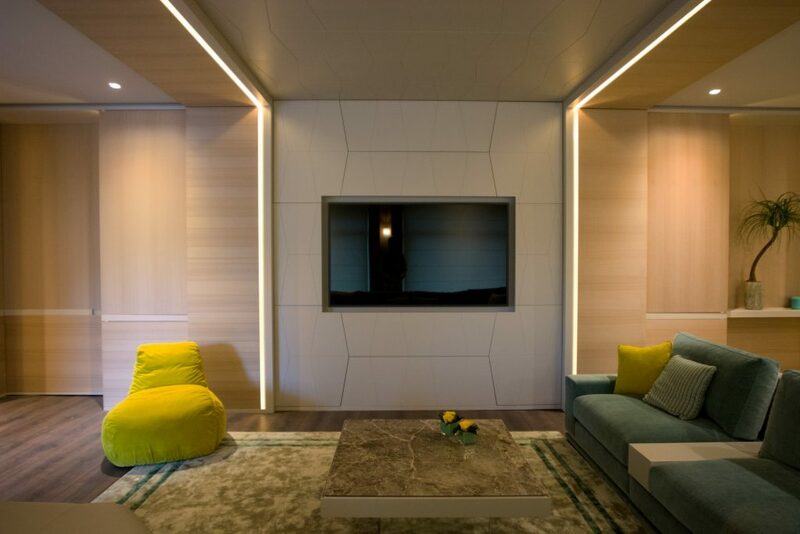 Sofa, natural stone coffee table, the table and the chairs are all part of our exclusive ForYou collection. 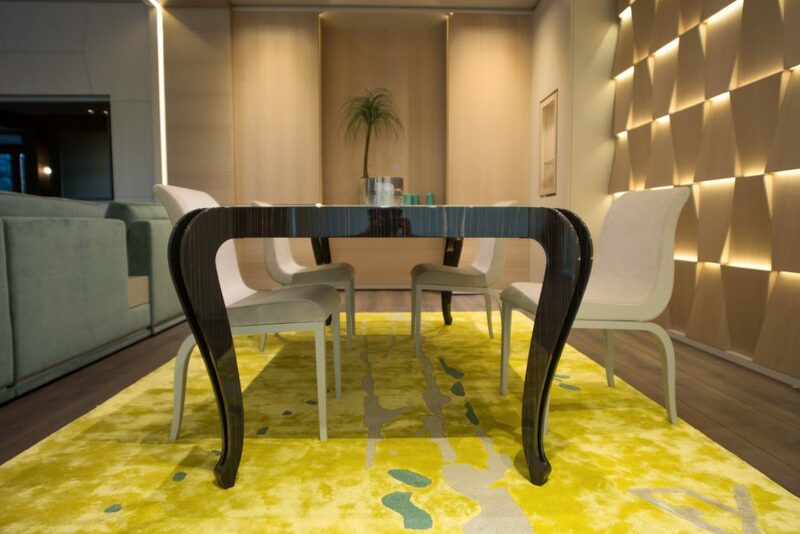 Also the carpets are custom made with personalised designs and colours.